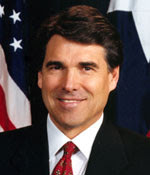 The best economic and educational stimulus package that Governor Perry could put forth for America is a formal, signed and accepted letter of resignation. He never got from under the "Bushes" and we pay for it dearly. He is the worst Governor in recent Texas history!